Welcome back to the 3DB and thanks for stopping by. This week I want to talk about the development of aviation in Latin America and remind all of you, who are already well versed in US aviation history, that our neighbors to the south also have a very interesting story to tell. So, this week I am going to let an expert from the National Air and Space Museum, Mr. Daniel Hagedorn – Adjunct Curator for Latin American Aviation, fill in all the blanks. This reprint of a lecture given by Mr. Hagedorn is a bit long but I think you will find it interesting to know that we had help during WWII from our friends down south…….well worth the read. It is a distinct pleasure and honor for me to speak to so distinguished an assembly on a subject that has been my personal passion for some thirty-five years now. During these next few minutes, I will bring you but a very brief glimpse of the very rich and eventful history of aviation in Latin America, with emphasis on the post-World War II period. Both military and naval aviation will be touched upon as well as the civilian and commercial sphere. Needless to say, it would take far longer than the few moments we will share today to convey the entire breadth of the subject. However, perhaps in these selected examples you will leave with a richer understanding of what has gone before. It will probably come as something of a surprise to you to learn that a Latin American aeronaut actually flew before the Wright brothers. But way before someone rushes out to alert the “Washington Post,” the aeronaut in question flew in a lighter-than-air dirigible of his own design, rather than a fixed wing, controllable, powered aircraft, which claim is still held by the immortal Wright brothers. The airman in question was, of course, Alberto Santos-Dumont of Brazil. To this day, Dumont is heralded by his countrymen as “The Father of Aviation.” In fact, Dumont made a number of spectacular flights in France as early as October 1901. On one of these he navigated a rather fragile dirigible over Paris and managed to circle the Eiffel Tower. Needless to say, the emotional French citizens below went wild and he became an instant celebrity both in Europe and at home. Santos-Dumont was just the first of many intrepid citizens of Latin America to make historic flights. Others included Jorge Chavez, of Peru, the first man to fly over the Alps and Dagoberto Godoy, of Chile, the first man to fly over the Andes Cordillera from Chile to Argentina in December 1918. Many other “firsts” were chalked up by Latin American airmen, but were little noted by the international press at the time. In fact, aviation in Latin America progressed at a pace even more rapid than in other, more developed areas of the world. With its many geographic obstacles to commerce and communication, aviation was quickly recognized to be a much more rapid means of overcoming the challenges of distance and time than roads and railways could provide. Indeed, by the 1930’s, air travel in Latin America was far more commonplace than here in the United States. The various national governments were not slow to recognize the value of military aeronautics. Mexico acquired thirteen French-built Farman F.50 twin-engined heavy bombers in May of 1920 and used them to help quell an uprising by a native Indian group, as well as on some of the very earliest Mexican air-mail experiments. These were the first twin-engined heavy bombers in all Latin America. 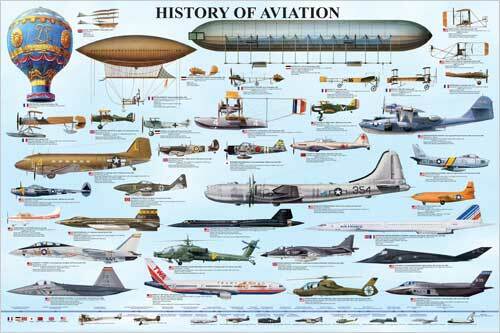 The period between World War I and World War II saw the use of aircraft in two famous Latin American conflicts. These were the Gran Chaco War, bitterly contested between Bolivia and Paraguay and the little-known Leticia conflict between Colombia and Peru. In both instances, aircraft were actively involved, and in many cases were very influential in the outcome of an engagement. Besides these, many other minor clashes and internal conflicts saw the use of aircraft, too many to be recounted here. With the coming of World War II, however, Latin American air units participated for the first time in truly foreign theaters. Here is seen a lineup of the famous P-47D “Thunderbolts” that were used by the 1st Brazilian Fighter Squadron during 1944 and 1945 in Italy against German and Italian Fascist forces. The unit committed itself with great valor and gallantry, and was considered a full member of the U.S. 350th Fighter Group. The Squadron was unique in the Italian campaign in that it fought the entire period without any replacements. The unit lost several aircraft to hostile fire, and at least three Brazilians were captured and made P.O.W.s by the Germans for the duration. Equally little known is the fact that Mexico also fielded a fighter squadron during World War II. The 201 Escuadron, unlike its Brazilian counterparts, fought against the Japanese in the Pacific in the Philippines. Arriving somewhat later than the Brazilians, the unit nonetheless committed itself very well indeed and made a number of highly effective sorties in support of the advanced Allied forces, including several very long range fighter-bomber sweeps to distant Formosa. With the end of World War II, developments in jet aviation were taking place very rapidly, following hard on the heels of actual use of jet aircraft by the Germans during the war. In Argentina, where Juan Perón was in power at the time, the postwar trade boom enabled Argentina to acquire the very first jet aircraft of any kind in Latin America in the form of not fewer than 100 Gloster Meteor F.4 fighters acquired from Great Britain starting in May 1948. Needless to say, the Argentine initiative in acquiring jet fighters at a time when all other Latin American air forces were equipped with World War II vintage propeller driven aircraft prompted acquisitions in some very unlikely places. In the Dominican Republic, during the regime of Trujillo, 25 de Havilland Vampire F.1 fighter-bombers were purchased second-hand from Sweden in 1955, making the Dominican Republic the first jet-equipped air force in the Caribbean. Later, still on the subject of jet aviation, the Honduran Air Force became the first Central American air army to field supersonic fighters when it acquired at least 21 Dassult Super Mystere B2’s in 1976. These airplanes are unique in all the world, as, before they were delivered from their former Israeli owners, they were re-engined with U.S.-built Pratt-Whitney J52 engines, this accounting for the extended exhaust area. Some of these aircraft are still in service in Honduras. While jet fighters and fighter-bombers were one thing, jet bombers were another item all together. Venezuela tipped the balance of power in northern South America radically in April 1953. She acquired the first of a number of variants of the very capable English Electric Canberra light jet bombers. Subsequently, Argentina, Peru, Ecuador and Chile also acquired examples of the Canberra. Although some of these are still in service, the Canberra bears the distinction of being the only jet-propelled bomber to see service in Latin America. With the change of government in Cuba in 1959, the stage was set for the introduction into Latin America of an entirely new element: Soviet-built military hardware. Shortly after taking power, indeed, the Cuban Revolutionary Air Force acquired the first of many variants from the famous “MIG” design bureau, for example the MiG-15UTI trainer version, one of the very first to reach Cuba. These were the first Soviet-built aircraft used in Latin America. We cannot proceed on to another subject however, without mention of the very first jet-propelled aircraft actually designed and built in Latin America, the little-known FMA I.Ae27 “Pulqui I” and I.Ae33 “Pulqui II,” the latter designed and constructed under the direction of the German Kurt tank, who also designed the famous Focke-Wulf Fw-190 fighter of World War II. Five of these very advanced aircraft were built for Perón’s Argentine Air Force and the first flew on the 27 of June 1950. While jets were being rapidly introduced into the post-World War II Latin American scene, authorities were quick to grasp the potential of the other new forces of aircraft. Although not the first helicopters in Latin America, Argentina acquired some Bell 47’s in March 1948, the first to have a useful pay load and search-and-rescue capability. Although only 194 famous Ford Tri-Motor transports were built, they helped make practical air transport of everyday people as we know it today a reality, and they rank among the most important aircraft of all time. Of even greater importance in the development of civil air transport in Latin America, however, has been the famous Douglas DC-3 family. Avianca, the Colombian airline, which can lay claim to being the world’s oldest continuously operating airline maintained a DC-3A which had been in continuous service for 25 years with the same airline! Ironically, perhaps destined to outlive the Douglas DC-3 and Lockheed Constellation in active commercial service is the Curtiss C-46. Although developed after the DC-3 by several years, the rugged “Commando” is still in regular freight service in Colombia and Bolivia. The C-46 will probably fly on as long as parts, pilots and fuel can still be found. Latin American commercial aviation entered the jet age in 1959 and, once again, Argentina led the way. Aerolineas Argentinas acquired a number of the early de Havilland “Comet” jet airliners that year, but, unfortunately, they were plagued by a number of serious problems, and two crashed with fatal results. The following year, however, Varig airlines of Brazil acquired the first Boeing 707 in Latin America which rendered excellent service for 19 years until it was replaced by more modern versions. The Boeing 707 is another of the truly great aircraft of all time, and is in a class by itself from a historical standpoint. Now for some little-known firsts and lasts in aviation history. I’m sure that many of you are familiar with the immortal North American P-51D “Mustang” of World War II and Korean War fame. However, the very last P-51 “Mustang” in regular military service anywhere in the world was used in the Dominican Republic, where this type saw not less than forty-five years of continuous service, outlasting the deHavilland Vampires which were acquired to replace it! Many of the crewmen who serviced these airplanes never knew any other type, and can certainly lay claim to having been “experts” at their work. The last propeller-driven fighter that will ever be able to claim aerial victories against propeller-driven aircraft of another nation is the Vought F4U-5 “Corsair.” This event, of course, took place during the 1969 war between Honduras and neighboring El Salvador, at the hands of Honduran Major Soto. The story goes that, when the first human mission to Mars returns, it will be number two in the landing pattern behind a Douglas DC-3 or C-47. If Basler Aviation of Oshkosh, Wisconsin, has its way, that may not be too far-fetched. Basler has now reconditioned and re-engined C-47’s for the air forces of Guatemala, El Salvador, Colombia and Bolivia, and this is expected to add years to the service lives of these already veteran airplanes. In recent years, Mexico, Argentina, Chile, and most notably Brazil have developed aviation industrial capability in their own right. In fact, the Brazilian-built Embraer T-27 “Tucano,” has been so successful that it has even been acquired by the British Royal Air Force as its standard primary trainer, as well as by many other air arms. This is a world-class aircraft, and will be around for years to come. Although the “Tucano” has been a great success, it was by no means the first Latin American aircraft to be built in series. Indeed, Mexico and Argentina were building aircraft in their own shops as early as World War I, and Brazil built many T-6 and PT-19 trainers during World War II. The Argentine-built DL-22 trainer, which looks very much like the T-6, was actually a totally Argentine design. It was built in substantial numbers starting in the 1940s. Latin America obviously has many long coastal areas to patrol, and thus it is not surprising that amphibious aircraft have, for a long time, been important to a number of nations. Mexico’s Navy can claim the distinction of being the last Latin American Air Arm to operate truly amphibious aircraft with “flying boat” type hulls in the form of Grumman HU-16 “Albatross” aircraft. The military has not had an exclusive on the use of amphibious aircraft, however, and a number of airlines have operated such aircraft over the years. The Consolidated PBY “Catalina” is still in use with the Chilean operator ASPAR as a forest fire retardant aircraft and is maintained in excellent condition. The last Latin American military operator of the classic “Catalina,” however, was the Paraguayan Air Force, which took pains to restore a PBY-5A which is now in the custody of the Argentine Naval Aviation Museum in excellent condition. World politics resulted, as is illustrated by the Cuban Revolutionary Air Force MIG-21, in the introduction of world-class combat aircraft into Latin American military service. To date, only Cuba, Peru, and Nicaragua have acquired true combat aircraft of Russian design, but these have had a profound effect on neighboring nations. An entirely different episode in the history of Latin American aviation took place in mid-1982, when Argentine forces attempted to seize the islands known to them as the Malvinas, known to the British as the Falklands. For the first time in history, a Latin American nation engaged in open warfare in the air with a traditional world power. The Argentine Air Force and Argentine Navy airmen who took part in this conflict performed very professionally, and were up to the highest world standards. The Argentine Air Force Douglas A-4P “Skyhawk” was one of the combatants and, in fact, has the silhouette of a ship stencilled on its forward fuselage in recognition of its claim during the war. The hitherto little-known Argentine naval airmen made their presence known in electrifying fashion during the Malvinas conflict flying, among other types, their Dassault Super Etendard fighter-bombers which, equipped with Exocet missiles, laid claim to one of the earliest known instances in which a land-based aircraft actually caused the sinking of a major surface vessel through the use of a missile stand-off weapon. Despite many handicaps the Super Etendard crews committed themselves very well indeed during the conflict. The Argentine Navy Super Etendard claimed attacks on both HMS Sheffield and HMS Invincible. Despite many international claims to the contrary, the Argentines claimed the sinking of only the Sheffield and only damage to the Invincible, although the British have denied this. Incredible as it may seem, while the state-of-the-art conflict was raging in the south Atlantic, the very last piston-engined bomber aircraft in Latin America was quietly retired from service by the Honduran Air Force. This Douglas B-26 “Invader” was the only one of its type used by Honduras, and had a past that was little short of spectacular. This story was told in a book co-authored by yours truly entitled Foreign Invaders: The Douglas B-26 in Foreign and Covert Service by Midland Publishing Company. Along the same lines, the legendary North American T-6 also came to the end of the line in Latin American service. The T-6 was used, at one time or another, by every established Air Force in Latin America, and it is fair to say more Latin American military pilots have been trained, to date, on this type than on any other aircraft. In a little-known footnote to the war between Great Britain and Argentina, several of the last North American F-86F “Sabres” that were still airworthy anywhere in the world were hastily returned to service by the Argentine Air Force with a view towards deploying them as a point-defense interceptors at coastal airfield, had the British attempted to attack the homeland. On the other side of the Andes, the Chilean Air Force will almost certainly be the last air arm on earth to fly the trusty Hawker Hunter fighter-bomber. During exercises with carrier-borne aircraft of the United States Navy in recent years, these and other Chilean Air Force aircraft have, to say the very least, given a very good account of themselves, and have earned very high praise from their mock-combat adversaries in the U.S. Navy. In truth, it can be said that, in at least one known instance, the Chileans got the better of the U.S. Naval aviators, much to the embarrassment of the F-14 “Tomcat” pilots. Today, although world-class supersonic aircraft are in service in a number of Latin American nations, the vast majority of them are French-built variants of the Mirage, with the exception of Cuba. Only Venezuela operates late-model General Dynamics F-16’s and, aside from versions of the Northrop F-5 “Freedom Fighter” in use in Mexico, Honduras, Venezuela, Brazil and Chile, these are the only modern fighters of U.S. design to be found in the entire region. No discussion of aviation in Latin America should end without telling you that there is a growing historical aircraft restoration and interest groups fraternity growing in the region. Hopefully, these airmen will continue to preserve the great contributions made by Latin American airmen to the progress of aviation. This very brief overview should have told you, by now, that I love airplanes and aviation. I truly believe that aviation has brought all Americans together, as perhaps no other force could possibly do. As mankind approaches the next century, with aviation a mere 100 years old for all practical purposes, one can only wonder what new adventures will await us in the future. Whatever it brings, aviation in this hemisphere will surely play a major role. Have a good weekend, keep family and friends close, and remember to enjoy the moment whether airborne or on the ground.